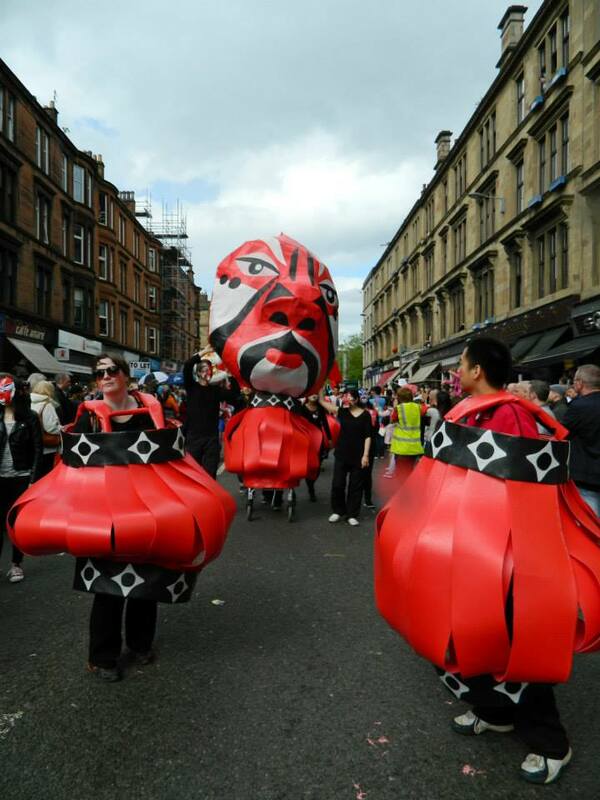 Thanks to everyone who came to our Chinese inspired costume workshops, which were featured at the West End Festival parade. Have a peek at the photos of the parade on our Facebook page! 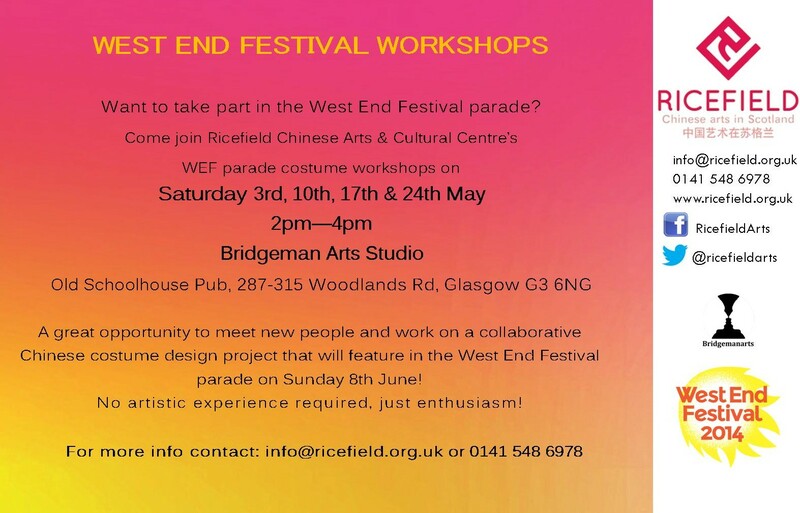 Ricefield is excited to announce our new project led by artist Pui Lee at Bridgeman Arts Studio to create a Chinese themed display at the West End Festival parade on Sunday 8th June. Don’t worry if you missed our WEF workshops (Saturday 3rd May, 10th May, 17th May & 24th May from 2pm – 4pm at Bridgeman Arts Studio at the Old Schoolhouse Pub, 287-315 Woodlands Road G3 6NG – 2 mins walk from Kelvinbridge Subway), you can still take part in the parade on 8th June! Ricefield Club | YingMi Film Club 影迷!